Moscow has warned Tokyo not to expect progress on an agreement over the Southern Kuriles unless Japan first recognizes Russian sovereignty over the long-disputed Pacific island chain claimed by both countries since World War II. 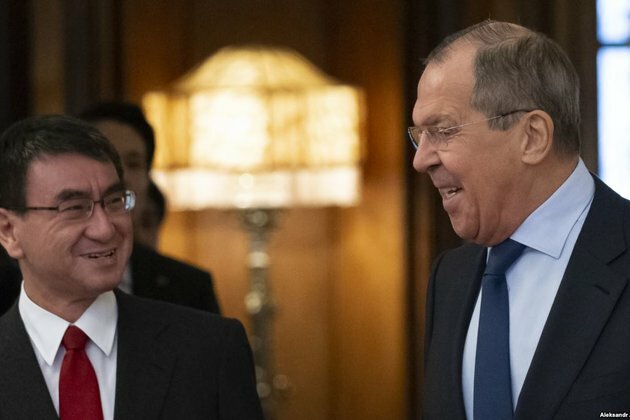 Meeting with his Japanese counterpart in Moscow on January 14, Russian Foreign Minister Sergei Lavrov said the countries still had 'substantial disagreements' despite some progress in bringing their positions closer. The Soviet Union seized the four islands north of Hokkaido at the end of the war, and the dispute has prevented the countries form signing a peace treaty to formally end the hostilities. Japan calls the islands the Northern Territories. Lavrov's talks with Japanese Foreign Minister Tara Kono come ahead of an expected meeting between Russian President Vladimir Putin and Japanese Foreign Minister Shinzo Abe later in January in Moscow. Putin and Abe agreed in November to accelerate negotiations based on a 1956 Soviet proposal to return the two less populated islands, Shikotan and a group of islets called Habomai. But in remarks both before and after the meeting, Lavrov criticized statements by Japanese officials and said that Tokyo must not try to force an agreement. 'Today we confirmed our readiness to work on the basis of the 1956 declaration, which means above all the immutability -- as the very first step -- of recognition by our Japanese neighbors of the outcome of the Second World War,' Lavrov said.